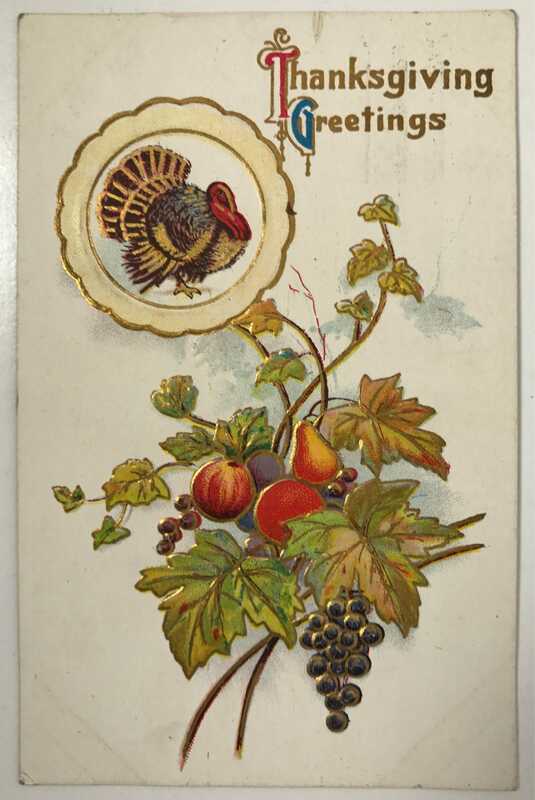 This Thanksgiving postcard features harvest fruit, grape vines, and a turkey motif, all beautifully decorated in gold and embossed. It reads "Thanksgiving Greetings". 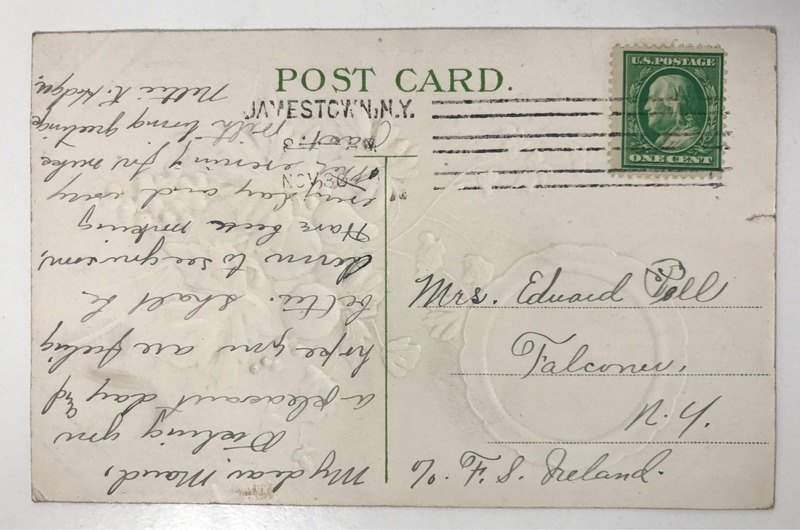 It has a divided back, and was mailed through Jamestown, NY. CONDITION: Good, would be very good but for a very short tear in the top.